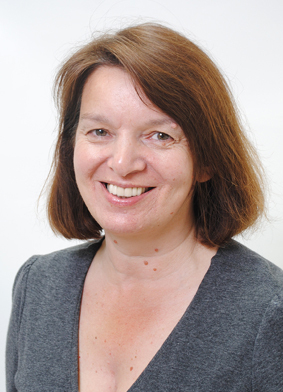 Author of over 80 books, Kathleen Fidler remains a titan of children’s literature. Whilst she was born and raised in England and Wales, she spent the majority of her life living in Scotland, a country that held a special place in her heart. The Scottish landscape and people feature heavily in many of her books and at Kelpies HQ we continue to publish her work as part of the Kelpies Classics collection. 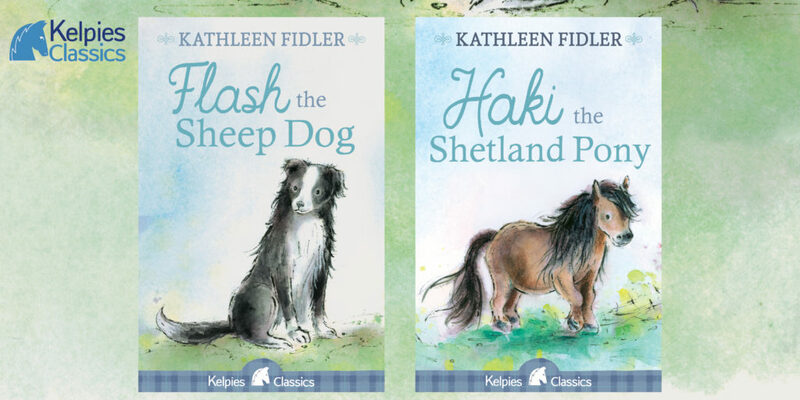 The latest novels to get a fresh makeover are Flash the Sheep Dog and Haki the Shetland Pony, two classic Scottish stories; one set in Shetland, the other in the Scottish Borders. First published in the ‘60s and ‘80s, they’ve continued to capture the hearts and minds of young readers and their parents for decades. Now a new generation can discover and enjoy these timeless tales of bravery and friendship between humans and animals. 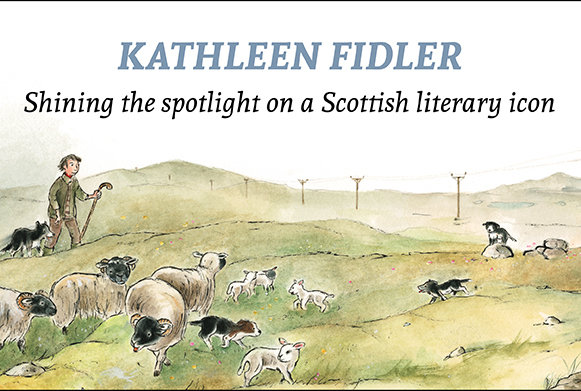 In today’s blog post some of our Kelpies authors offer their perspective on the work of Kathleen Fidler. Read on to find out who she helped inspire to read and write! Kathleen Fidler’s books have inspired me since I read them to my children when I first moved to Scotland more than 20 years ago. Often read in cottages by the sea when on holiday, I loved the themes she writes about, bringing Scottish history to life – the Highland Clearances, for example. She inspires me as both a reader and a writer. Her books are classics for children, which deserve to be remembered and cherished. Books by Alex Nye: Chill, Shiver. 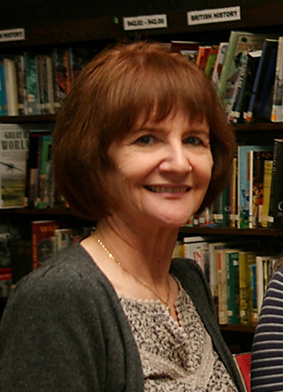 Kathleen Fidler’s novel The Desperate Journey was published in 1964 and is still a popular read in Scottish primary schools. I find that incredibly inspirational and would love to write a historical novel with that kind of lasting impact. Books by Lindsay Littleson: The Mixed-up Summer of Lily McLean, The Awkward Autumn of Lily McLean. Kathleen Fidler was my first introduction to Shetland ponies! I first came across Haki the Shetland Pony years ago when I was a kid and I remember liking the idea of ‘running off and joining the circus’. I was in a children’s home at the time! This book – with a talented travelling animal character – reminded me of Gobbolino The Witch’s Cat and had a great warmth to it. Classic stories stay in print and Kathleen Fidler’s books will be enjoyed by future generations of readers who want thoughtful narratives about resolute characters. I also came across some of her books while teaching. Indeed, I gather that Kathleen was a teacher too. Clearly a person of many talents. It would have been lovely to meet her. 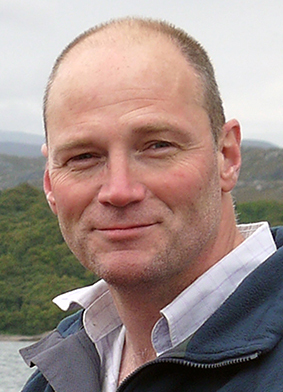 Books by Alan Dapré: Alan is the author of the Porridge the Tartan Cat series. 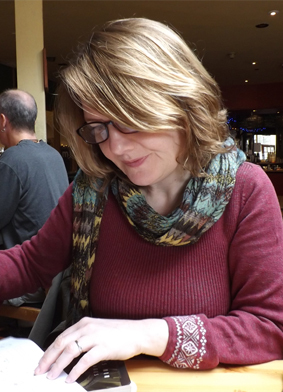 Kathleen Fidler was an accessible writer who legitimised and vivified Scottish stories. Her work in this area was groundbreaking; covering various genres and appealing to a wide range of interests and ages. I probably owe a large part of my life-long love of history to Kathleen Fidler. However, her major influence on me was when my very first book won the Fidler Award. Life-changing, encouraging, enabling – this prize set me on course to fulfil my dreams to be a writer. Thank you, Kathleen Fidler. Books by Theresa Breslin: An Illustrated Treasury of Scottish Mythical Creatures, An Illustrated Treasury of Scottish Folk and Fairy Tales. As London orphan Tom struggles to adjust to his new life in the Scottish Borders he finds an unexpected ally in Flash the sheep dog puppy. Their friendship blossoms and Tom’s determined to make Flash a sheep dog champion! Will they succeed? Adapted for the big screen in 1966, Flash the Sheep Dog remains an unrivalled portrait of rural Scotland and is perfect for fans of Lassie and Babe the Sheep-pig. When Adam and Haki are forced to leave their home on Shetland and find work on the mainland, they become the lead acts of a travelling circus. Yet Adam and Haki’s future is in jeopardy as jealous feelings arise amongst the circus folk. Will the stars of the circus somersault to success or stumble and fall? An exciting adventure, this heartwarming story is perfect for pony lovers everywhere. Flash the Sheep Dog and Haki the Shetland Pony are out now.